For photos and to know more about the Closeup Forever Summer 2014 kick-off party last February 26, click here. Are you planning to have the best summer and discover the joys of the season all over again? Then fret not 'coz CloseUp’s freshest beach party in the city is back with an interesting twist! CloseUp Forever Summer takes off from Closeup’s first music festival in 2013, Closeup Summer Solstice, a 12-hour outdoor party featuring dance music acts like Afrojack, Cedric Gervais, Alex Gaudino, Dev, and Cobra Starship. Closeup Forever Summer was supposedly Closeup’s year-ender party set to happen in November 2013, which was called off to sympathize with those who have been affected by super typhoon Yolanda. And this year, there's definitely no stopping #CloseUpForeverSummer. 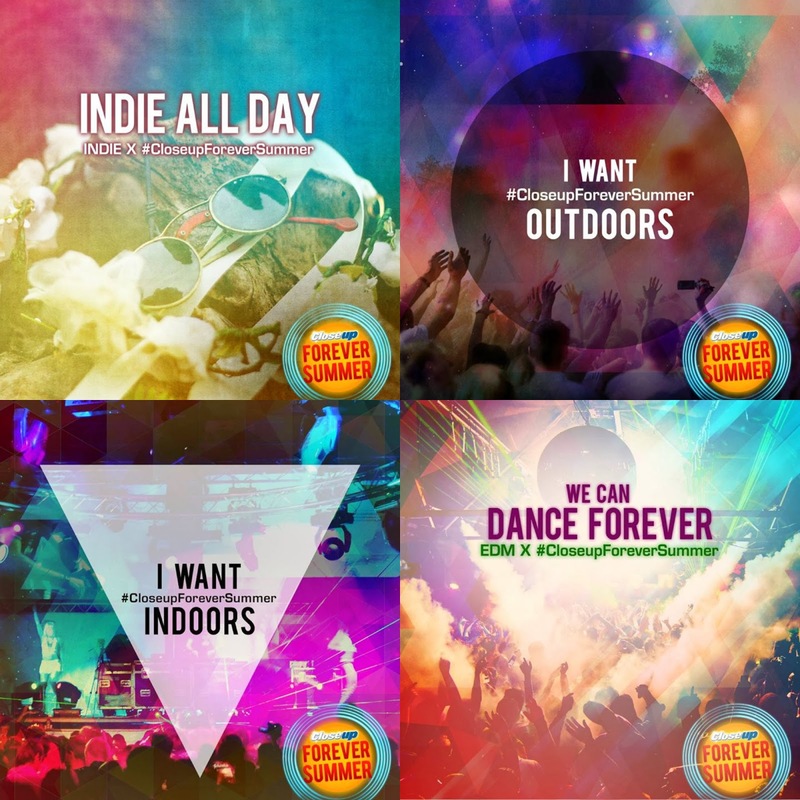 CloseUp has been inviting everyone to create the party with them on Facebook, Twitter, and Instagram by letting their fans decide the details of the event starting with the music: EDM or indie? Indoor or outdoor? CloseUp Forever Summer is the first and only music festival of its kind that allows the public to decide on how the party should happen. And you, my friends, can have your say on the party by telling the CloseUp team what you want and how you want it through their Facebook page, Twitter @closeupph and Instagram @closeupph, and by using the hashtag #CloseUpForeverSummer. “We want people to own summer and have it exactly how they want it. This year’s Closeup Forever Summer is about creating lasting moments by getting everyone together to decide how they want the party to go down,” says CloseUp Brand Manager Gem Laforteza. 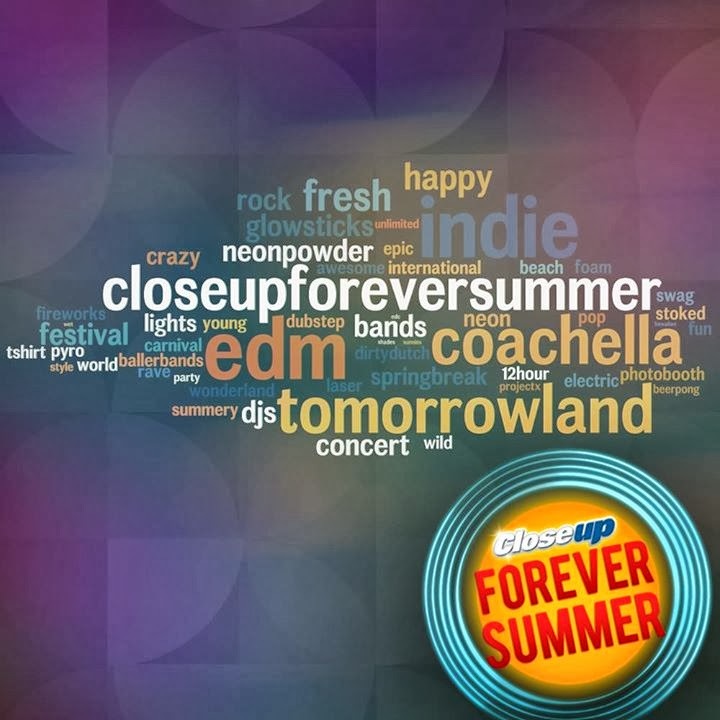 The Closeup social media accounts have also been posting clues to acknowledge fans' suggestions for their favorite artists and headliners for #CloseupForeverSummer happening on April 5, 2014. 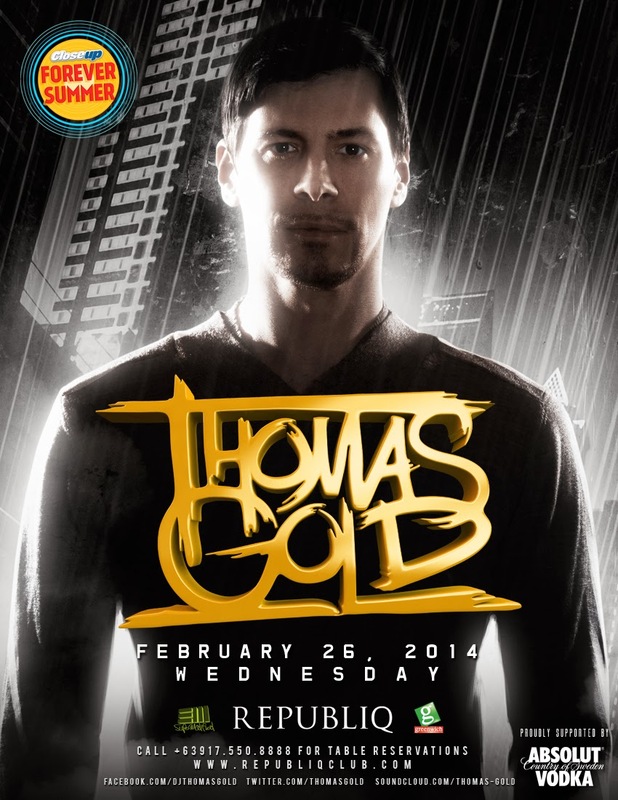 And on February 26, the full details and artist lineup of CloseUp Forever Summer will be revealed in an announcement party, featuring the Berlin-based DJ and producer Thomas Gold at Republiq Club, Resorts World Manila. Closeup Forever Summer is brought to us by MYX, Folded and Hung, Havaianas, Greenwich, Republiq and Yellow Brick Media. Stay closer for longer with up to 12 hours fresh breath only with Closeup. I really like how close up promotes their product on ads and events, it's always catchy and entertaining. I agree with you Franc. Up until now I could still remember their ads wherein the music used was that of Gino Padilla's "The closer I get to you". Close Up really gives their best to promote their products through entertainment, media ads, etc...This time, the concept, summer 2014. Great! CloseUp has done a wonderful promotional scheme by deciding to get feedback from different people and letting their voices be heard via social media. I couldn't agree more! :) Online consumer interaction is one of the proven effective strategies on brand marketing. Wow! This seems to be unique CloseUp promote. It is something about "beach party" This is, I know for sure, love by youngsters. They are too excited to join this summer activity on their own choice. Wow! This one's a cool way to spend the summer heat, having the chance to spend it your way and enjoy with CloseUp. Love this event and indeed CloseUp made the most memorable event ever. what ever people would choose i am sure close up can handle it with a big guest and people will just enoy it and go wild and party! This would be a spectacular event, I always remember o Close Up when they spearheading lovapalooza. Close Up is an aggressive brand that knows its audience to the letter, this looks like another exciting event. I am sure this is going to be a blast again. Looking forward to it! As early as now, may plan na ang Close Up for a summer event! I'm sure that it will be successful :))) They always have great events! summer is really near , I'm sure closeup will give it the blast.. looking forward to it..